Extracurricular Activities : Dance, Music and Sports: Kho-Kho, Kabaddi. Taking part in local competitions. 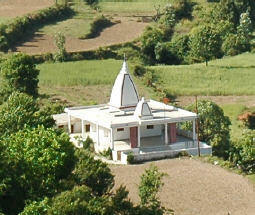 Jagdhar is situated on an elevation of 1750 m, along a branch road of the Chamba - New Tehri branch road. Local farmers here grow wheat, apples, pears and vegetables. Omkarananda Pundyasini Uttarakhand Vidya Niketan, Jagdhar, has a beautiful view of snow-capped mountains in the North and the Surkanda-Devi Temple on a summit in the Northwest direction. 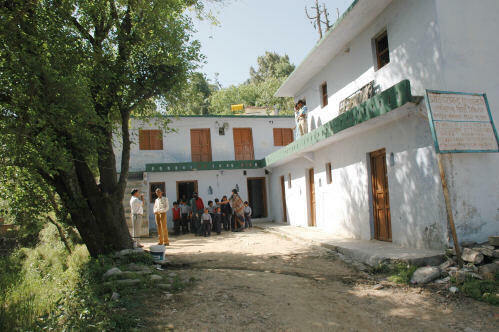 This School runs Classes from Nursery to Classes V and serves villagers from within a radius of 3 km. Children here also learn dance and Garhwali songs and play Kho-Kho, Kabaddi and participate in local competitions. nestled in a small valley in the village.